We live in a technology obsessed society where your average millennial’s reality blurs into one with their virtual online world; posting anything and everything from their latest fashion purchases, to their selfies and social life goings on. 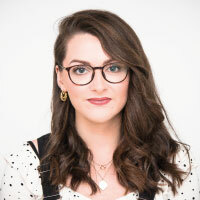 This social media trend coupled with millennials being deemed the “future” would suggest that every professional looking to target this group should be on social media; a “no brainer”- right? Wrong. While the phrase “be where your customers are” is regularly coined, senior level professionals, particularly c-suite professionals’ presence on social media is lacking. Only 39% of Fortune 500 CEOs have some kind of social media presence, of which, only 60% have ever tweeted, with many having tweeted less than 25 times in total. Of the F500 CEOs, not one has a presence on all 6 major social media platforms. 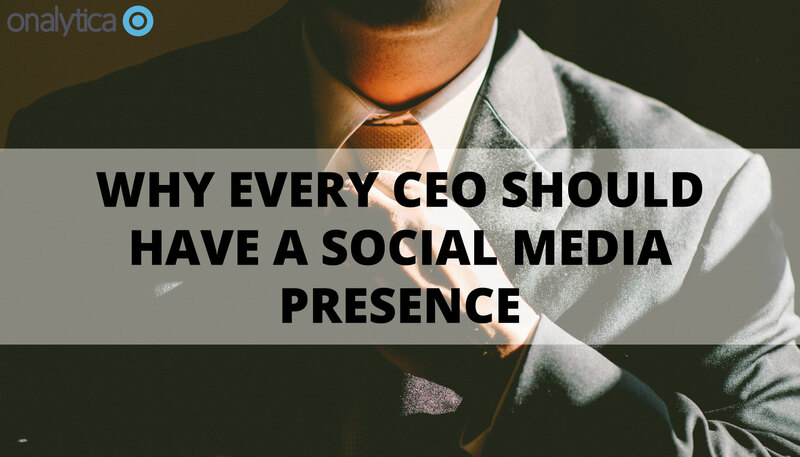 On a more general basis, 61% of CEOs have no social media presence whatsoever. It goes without saying that CEOs aren’t really doing social media, and when they are it’s a half-hearted “because I have to” attempt, as the value-added seems minimal. With added superiority comes added pressure to deliver; senior executives will only invest their time and effort into activities that will drive results and ultimately contribute to their company’s success. This is most certainly the case for social media platforms outside of LinkedIn. Understandably, the perceived value of LinkedIn seems to be more obvious to CEOs, as 70% of those with a social media presence, created themselves a profile on LinkedIn first- perhaps as the purpose of LinkedIn is to network and facilitate business opportunities. However, is LinkedIn the only platform with the ability to do this? The above statistics contrast heavily to the direction society is heading in; globally, more than two billion people are on social media, with the average user dedicating around 2 hours per day to browse their way through their social feeds. This desire to be on social media isn’t just a leisurely thing either; three out of four consumers say social media impacts their buying decision. So, the question arises; what are C-suite professionals missing? The answer to this is obvious; they simply do not get the why or the how. So, here are 5 reasons why C-suite professionals should be on social media, and how they can do this effectively. ROE has the same principle as ROI; while ROI measures the return on money invested, ROE measures the return on time invested. Simply having CEO as your job title means that your social media profile is going to be perceived with a higher level of interest and authority, meaning that your ROE is going to be higher. Social selling does not require bundles of dedication and hours of your time. Investing a mere 15 minutes a day to share content, post your own content, or interact with the community can help generate warm business opportunities. A CEO participating in the sales pipeline may at first sound counter intuitive. While you may not have the time to converse with prospects beyond the sporadic 144 character tweet, your sales team will. However, a prospect being initially approached in a passive, “non-salesy” way by the CEO of a company versus being cold called by a Business Development Manager is likely to be better received. Cold calling as a whole, regardless of who’s on each end of the phone is becoming rather old fashioned and to many, irritating; social media allows you to hold your finger on the pulse, presenting real time opportunities to engage with prospects right at the point they’re looking to buy. You could be the difference between having a chance of bringing on a client and ultimately standing little to no chance- as social selling starts at the top. A study by Weber Shandwick found that nearly 70% of senior professionals state that when a CEO posts on social media it makes their working environment and culture more pleasant. This is perhaps as this not only makes the CEO visible, but also makes them appear human, as opposed to being an intimidating authoritative figure. A good example of this is T-Mobile’s CEO John Legere whose social media profile is both very active and popular; witty and sometimes confrontational tweets to competitors provide his followers with an entertainment factor- often acting as free PR for the company too. Regardless of how involved a CEO is in the day to day running of their business, they are to an extent the face of the company, responsible for the reputation it holds. The CEO being on social media will increase the likelihood of their teams taking social media seriously, rather than it being a box tick exercise. If a CEO can find time in their busy schedule to build and maintain a presence on social media, then sales teams should most certainly be pumping their time into social to leverage sales opportunities, too. McKinsey researchers estimate that $1.3 trillion in value stands to be unlocked by companies that figure out how to apply social media technology in the upcoming years- not just as marketing tools, but in sales, customer service and indeed in internal communications too. A CEO trying to guide this transformation without getting, or better yet being on social media on some level will be far more challenging. Having a presence on social media will make it seem as though the CEO isn’t just an authoritative figure that nobody sees or hears, but someone that is invested, cares and is very much actively involved. This is more prevalent than ever as we shift from hierarchical pyramid organisation structures to much flatter ones. While you’ll want to maintain your authority, it is important to be visible to your employees and gain their respect. Social media is a platform and an opportunity to essentially call one giant company meeting; if you’re on social media employees will feel a connection with you, ultimately making you more likeable and relatable. The approach of tweeting anything and everything as a means to increase both your activity and followers is the wrong tactic. Rather, focus on consistently pushing out quality tweets with relevant content. Keep your existing followers and the calibre of followers you’d like to acquire in mind when tweeting, with the focus on quality rather than quantity. Is what you’re posting relevant to them? With that said, some quantity and consistency is of course necessary to ensure that you’re active enough on social media. Having periods of being very active followed by being very inactive on twitter is going to make your follower number very erratic. Focus on tweeting a suitable number of times; set yourself realistic social media targets that are easy to achieve and sustain. It is better to consistently tweet only 1-3 times a day, than it is to have a bout of tweeting 10 times a day, followed by a period of inactivity. You want your followers to become familiar with your name and tweeting schedule, all while posting quality content. The content of what you’re posting is extremely important- do not just share corporate news such as new product releases; share industry news and breakthroughs, adding your own comments rather than just re tweeting. Better yet, write and post content of your own. It is a fair assumption to make that you’re knowledgeable with expertise in a particular area since you’re in an executive position- demonstrate this expertise and you’re guaranteed to be providing value to your followers. This is a prime opportunity to humanize your brand and be a visible representative for your company. Not only can you humanize your brand, but you’re able to present yourself as a human rather than just a figure at the top of the pyramid. What are yours and your company’s beliefs? What perception do you want people to have of you? Everyone has passions, interests and hobbies outside of work, so don’t fear showing yours on your social media profile. Not only will this open up opportunities for you to bond with your followers on a personal level, but it will make dedicating time to your social media profiles more enjoyable, meaning you’re more likely to succeed. In order to really accelerate your social media growth, it is important to not only post quality, relevant content consistently, but to interact with your community too. After all, a key aspect to your social profiles growing is being on the receiving end of engagement; if you’re looking for your followers to engage with your content, then a great first step is to engage with theirs. Interacting with your community shouldn’t only be viewed as a means of increasing your followers, but a means to network too. Not only will this put your name and company on the map, but you may well generate business opportunities- as already highlighted. The time you dedicate into this is of course entirely up to you, however, this does not need to be a time consuming exercise. It is possible to dedicate minimal time and still achieve results thanks to the copious social media tools available on the market. For example, tools such as Buffer allow you to easily schedule your tweets; this way you can spend 15 minutes on it first thing in the morning and then forget about it for the rest of the day, rather than having to consciously post multiple times throughout the day. Tools such as our IRM tool (Influencer Relationship Management) will aid in making opportunities to engage obvious, flagging the opportunities and delivering them in the form of tailored, actionable notifications straight to your inbox. The bottom line here is that this doesn’t need to be a time consuming stressful task, there are ways of making this easy and you need to ensure that you’re utilising them. If you’re a CEO just getting started on social media and want to identify the influencers you should be interacting with, why not take a free 7 day trial of our influencer discovery tool by clicking the button below?